When life presents challenges, family members feel the impact. You don`t want loved ones to be alone, yet you may not be able to provide assistance as it`s needed. We tailor our services and schedule to meet your needs and supplement the care provided by family. •And So Much More . . . As a results of aging, illness, injury or pregnancy, loved ones often request or require assistance with daily living. That`s what we do best. Our professional staff provides...trusted, affordable and courteous service. Our employees are thoroughly screened, formally trained, insured and bonded. Our caregivers are passionate about helping people. Whether supplementing the care and assistance provided by family and friends, or serving as a primary caregiver, we`ll be there when you need us. We also plan for back-up care should a caregiver be unavailable. 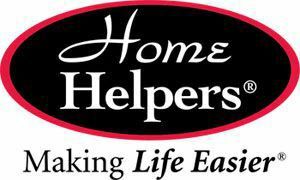 Home Helpers® services are affordable as you decide how often and when you need us. Also, our one-on-one care provides the attention people want and deserve. You have your own schedule, your own commitments. Our services can be tailored to meet your personal requirements. We`ll work with you and your family to ensure that you have the best care. With so many options, you are guaranteed to find the service and schedule that meets your needs.